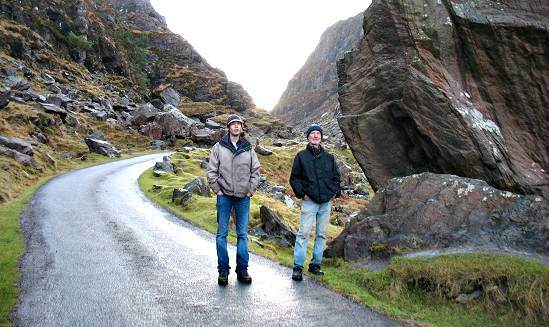 The Gap of Dunloe is one of many tourist attractions in and around Killarney which make up the Ring of Kerry tourist trail. CROWDS and CROWDS of people! Like bees to a honey pot. So is it worth all the fuss? Absolutely! If you do it right. 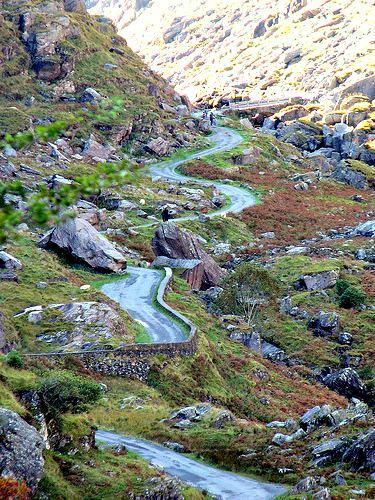 There is a lot to love about this unique mountain pass, which provides the simplest route from Killarney to the Black Valley. Although it is the simplest route, it is hardly a four lane highway. In fact in comparison to modern standards this road is completely backwards. Just a single narrow lane which weaves up through the Macgillycuddy’s Reeks mountains dodging boulders the size of buildings. Passing places are few and far between so, for this reason, during the high season the road is closed during the day. This makes travelling through the pass a little more complicated but on the upside it really helps preserve the natural beauty of this unique area. 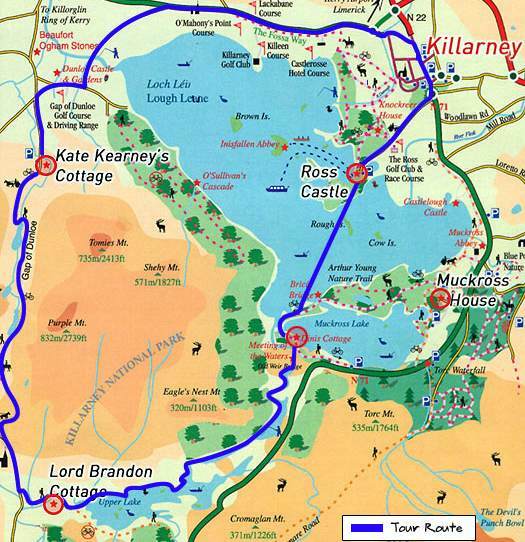 The incredible geological features in Killarney National Park were all created by glaciers during the last ice age. As these large bodies of ice moved slowly down the mountain sides they carved out vast chunks of rock. The tiny size of the rivers which now run through the valley. Here are four ways we have avoided the crowds and the road closures during the height of the summer. These are likely to suite independent self-drive travellers that are looking to avoid booking onto a jaunting car. You guessed it! Straight through the Gap of Dunloe. From there we drive through the Black Valley re-joining the Ring of Kerry near Moll’s Gap. Before 9am and after 6pm you will most likely have the valley to yourselves so there will be plenty of chances to stop for photos. Perfect if you are short on time. Allow at least an hour for this detour. Drive into the Black Valley from the Moll’s Gap end (rather than the Killarney end) and park. The Black Valley is only a small community so don’t drive through it and into the Gap of Dunloe - We usually park near the church or the excellent backpacker’s hostel. From there we walk up the hill and down through the Gap of Dunloe. The views through the timeless landscape stretch out for miles. At the end of the valley, after 6km, lies Kate Kearney’s Cottage a famous Irish pub which serves excellent food and drink. Would suite: Self-Drive, Independent, Active Types. 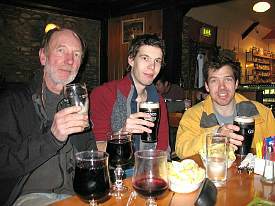 If you are coming from Killarney why not enter the Black Valley by boat. Boat trips across the beautiful Killarney Lakes leave from Ross Castle around 10am and 2pm. 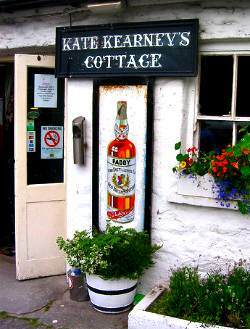 From here you can walk, bike or go by jaunting car through the Gap to Kate Kearney’s Cottage where you can enjoy a well-earned bite to eat. Would suite: Bird/Nature Lovers, Active Types. Finally if you are feeling really motivated why not add a walk through the Gap of Dunloe to one of my favourite stretches of the Kerry Way walking trail. Starting in Glencar and finishing in the Black Valley there is a beautiful 20km walking trail through the Bridia Valley which takes you around some of the lower reaches of the McGillycuddy's Reeks mountain range and right under Ireland's highest peak, Carrantuohill. 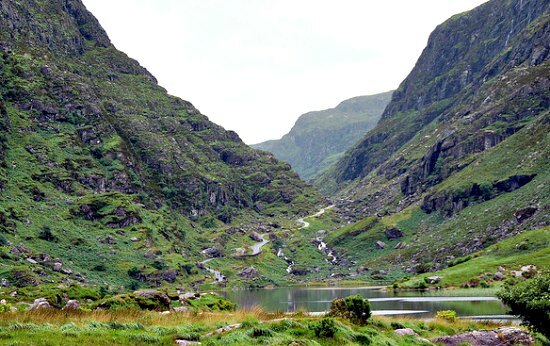 From here it is just an extra 7km to reach Kate Kearney's Cottage via The Gap of Dunloe. If my Dad at the age of 63 can manage it - I reckon anyone can! Would suite: Self-Guided Hill Walking Types.